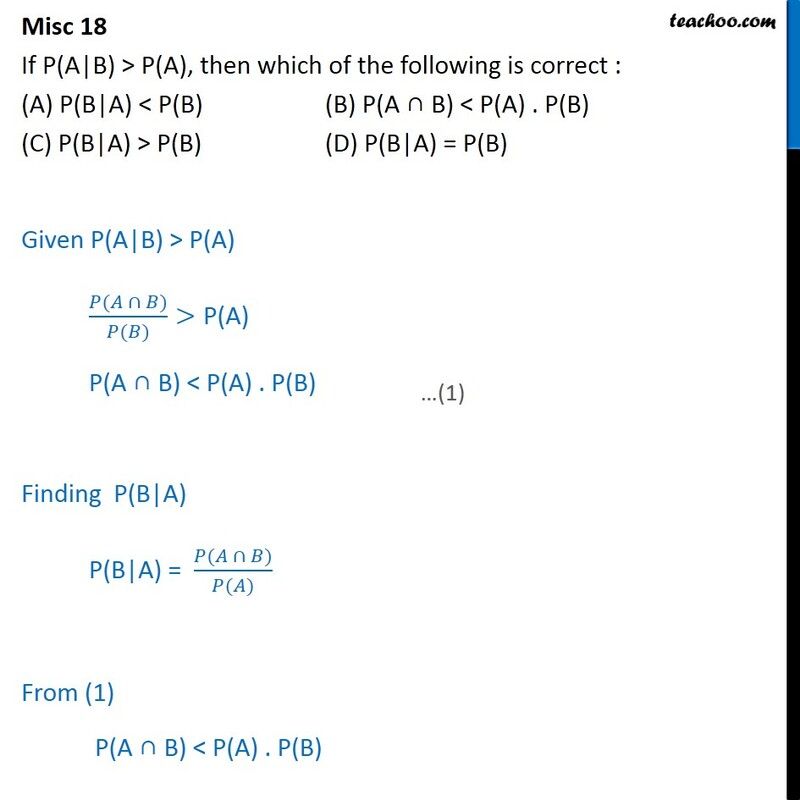 Misc 18 If P(A|B) > P(A), then which of the following is correct : (A) P(B|A) < P(B) (B) P(A B) < P(A) . P(B) (C) P(B|A) > P(B) (D) P(B|A) = P(B) Given P(A|B) > P(A) ( ) ( ) >P(A) P(A B) < P(A) . P(B)	Finding P(B|A) P(B|A) = ( ) ( ) From (1) P(A B) < P(A) . P(B) P(A B) < P(A) . 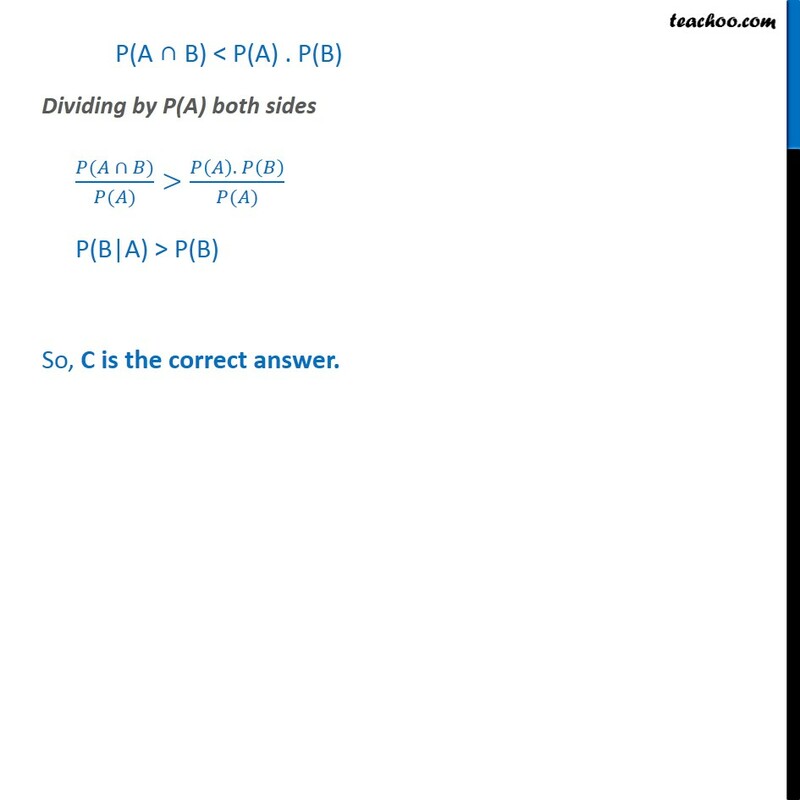 P(B) Dividing by P(A) both sides ( ) ( ) > . ( ) P(B|A) > P(B) So, C is the correct answer.